Align’s rigorous bridge courses put you on a direct path to a Master’s degree. The Align program empowers students without computer science backgrounds to achieve a Master’s degree in 2-2.5 years. 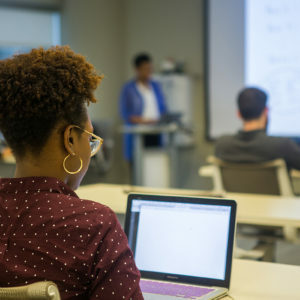 Two semesters of rigorous academic bridge courses accelerate your learning while preparing you for two semesters of Master’s level core courses and electives. After co-op, complete your Master’s degree in just one more semester—and get ready to launch a bold new career.